Help Raise $$ for our Scholarship Funds! 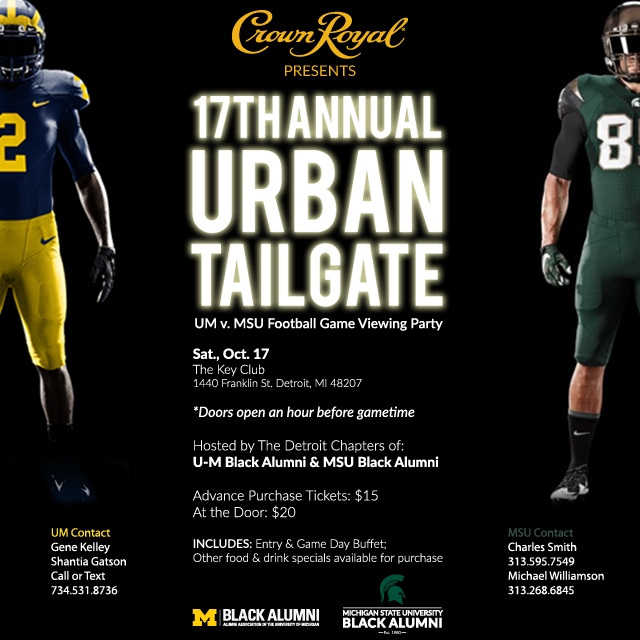 Ticket purchase includes access to complimentary buffet and multiple game viewing options. Additional food and drink specials offered. DUE TO RECORD TURNOUT EXPECTED, ONLY A COUPLE BOOTHS REMAIN AVAILABLE. RESERVE YOURS NOW! Please call/text Gene Kelley or Shantia Gatson at (734) 531-8736 with any inquiries. We look forward to seeing you soon. GO BLUE! *Tickets are available for purchase at a discounted rate prior to the event. Rates will be higher at the door.